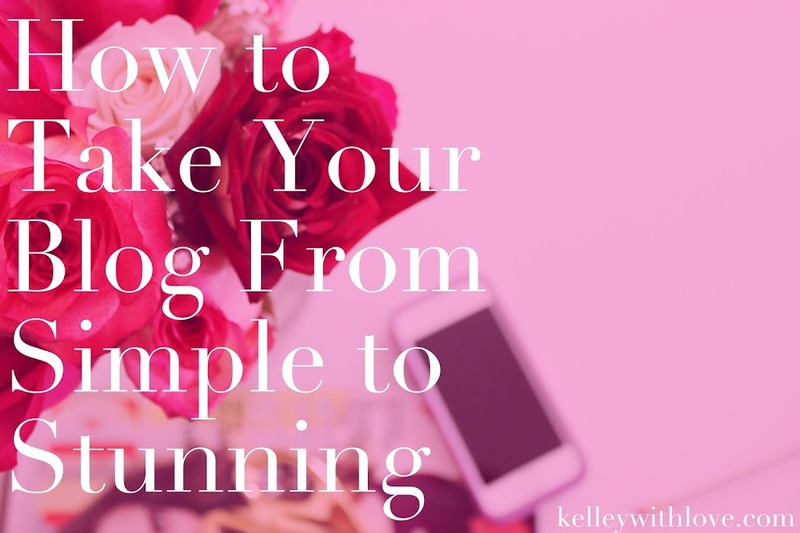 Keeping it simple really gets a really bad rap, but it’s one of the best things you can do for your blog. When I say simple, I don’t mean plain, I mean simple in terms of complexity. By now I’m sure you’ve come across some really stunning blogs, I know I have. If you’ve ever wondered what it is about those blogs that make them stunning well I’m here to share that secret sauce. There are some really simple things that you can do to take your blog from plain to stunning. Although the techniques I’m about to share with you are really simple when combined they make for a stunning blog design every time. Check them out below. Some of the most stunning blogs I’ve seen all have one thing in common – lots of clean space. No matter what your background color is making sure that your blog space is clean makes a world of difference. When thinking of where there needs to be clean space think side bars, posts, and navigation bar. When there is not a lot of distraction this allows your readers to truly focus on what they need to…your content. With any business, brand, or blog, color is very important. The colors on your blog speak to your reader before you ever get a chance to. That’s why it’s very important to create your very own custom color theme. Choose 2-3 colors that speak to what your blog provides, what your reader needs/wants, and what the overall experience is that your blog provides. Here’s more about creating a brand style guide for your blog. This is very self-explanatory, but I will say a couple of things. Clear navigation on your blog is a must. This is a chance for you to capture your reader’s attention and guide them to the most important click worthy parts of your blog. So make sure you make it clear where they can find the things they come to your blog for. The best thing you can do for your blog is to invest time into producing amazing photos. One of the simplest tips that I can give you is to focus on good lighting. Lighting is everything. Here’s how to take great blog photos. You know I couldn’t leave without referencing fonts. Make sure your font is readable. Please, please, please consider font, size, and color. My eyes and your reader’s eyes beg of you! So there you have it, five simple but easy ways to make your blog stunning. I can’t tell you how much I enjoy our weekly chats and I can’t wait to share more gems with you. Until then, what questions do you have that you’d like answered? Write them in the comments below. You never know, I may make a blog post just for you!